A new conservation project will soon start work on one of Malta’s most significant historical artworks. 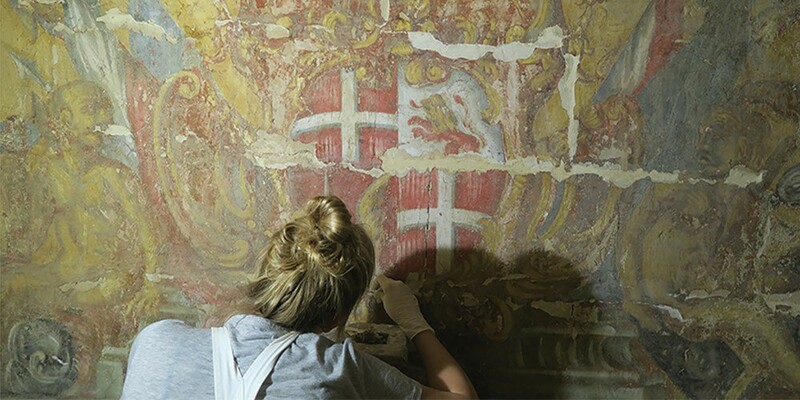 Laura Bonnici meets Prof. JoAnn Cassar, Jennifer Porter, Dr Chiara Pasian, and Roberta De Angelis to find out why conserving the d’Aleccio Great Siege Wall Painting Cycle is of national importance. In 1575, just a decade after Malta’s Great Siege, the Order of St John commissioned Matteo Perez d’Aleccio, a disciple of the school of the world-famous Michelangelo, to capture key historical moments of the infamous siege for the principal hall of the then newly-built Grandmaster’s Palace in Valletta. The work lasted six years and almost certainly took into account eyewitness statements from war veterans. According to Emmanuel Magro Conti, Senior Curator of Maritime and Military History at Heritage Malta and historical consultant on this conservation project, d’Aleccio’s efforts resulted in what is arguably the best and most accurate representation of Malta’s famed siege. 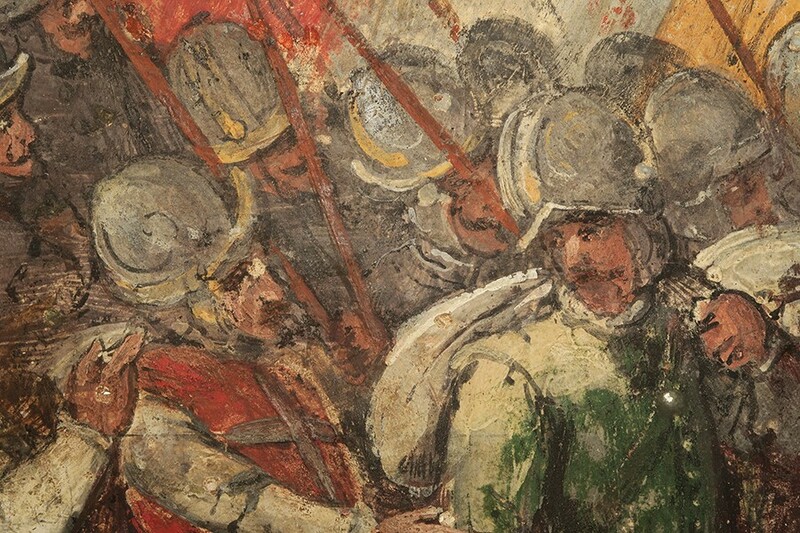 ‘The paintings depict 12 key moments from the four-month-long Siege,’ explains the project leader Jennifer Porter from the Department of Conservation and Built Heritage at the Faculty for the Built Environment, University of Malta (UM). These include the arrival of the Ottoman armada, pivotal battle scenes, and the arrival of a relief force from Sicily, which effectively convinced the Ottomans to lift the siege. The paintings are extremely detailed and they accurately depict styles of dress, armour, weaponry and the ships of the period. The narrative is developed visually through key events which play out over a series of frames. At their core, the paintings ‘constitute an extraordinarily important historical document,’ Porter says. They are also defining for the history of art in Malta. However, the passage of time has not been kind to these works of art. Over the centuries, these monumental paintings have deteriorated. A project launched in 2001 by the Dresden Academy of Fine Arts in Germany conserved around two-thirds of the cycle, before the project stalled due to funding problems and the illness of the project’s director Prof. Heinz Leitner. Now, a group of conservators in Malta is gearing up to tackle the remaining third part of the cycle, to finally complete the whole project. The project made the headlines earlier this year when it sought €300,000 in funding. At the project’s official launch in July, HE The President Marie-Louise Coleiro Preca applauded efforts to conserve the d’Aleccio Great Siege Wall Painting Cycle and encouraged more companies and entities to come forward and contribute to the conservation of the piece and of Malta’s heritage. When a generous sponsorship was secured from The Gasan Foundation, a lead sponsor found with the help of the RIDT, preliminaries for the start of the project commenced. The team had two main objectives: conservation of the cycle, and providing one-of-a-kind training to future conservators. The d’Aleccio paintings are exceptional and as such have created a scenario of their own, bringing together institutions that have not worked side-by-side in this way before. The UM and Heritage Malta are joining forces to create a unique learning experience for students on the Master of Science (MSc) degree in the Conservation of Decorative Architectural Surfaces. ‘MSc students spend 50% of their time in practical training, which is essential to form skilled conservators. During our conservation projects, they always work under the close supervision of the department’s team of professionally-trained wall-painting conservators,’ Porter explains. Porter herself is the coordinator of this course. Key figures from Heritage Malta involved in the project include Principal Conservator of Paintings Anthony Spagnol and Senior Curator Emmanuel Magro Conti. Professional wall paintings conservators will also be engaged to keep up the project’s momentum while the students follow the theoretical part of the course. This combination of collaboration and sponsorship marks a new frontier for conservation projects at the UM. ‘It would be impossible for us to carry out such a project without the support we have been offered,’ remarks Porter. ‘These projects require specialised equipment and materials. Lighting, electrics, scaffolding, or photographic equipment. 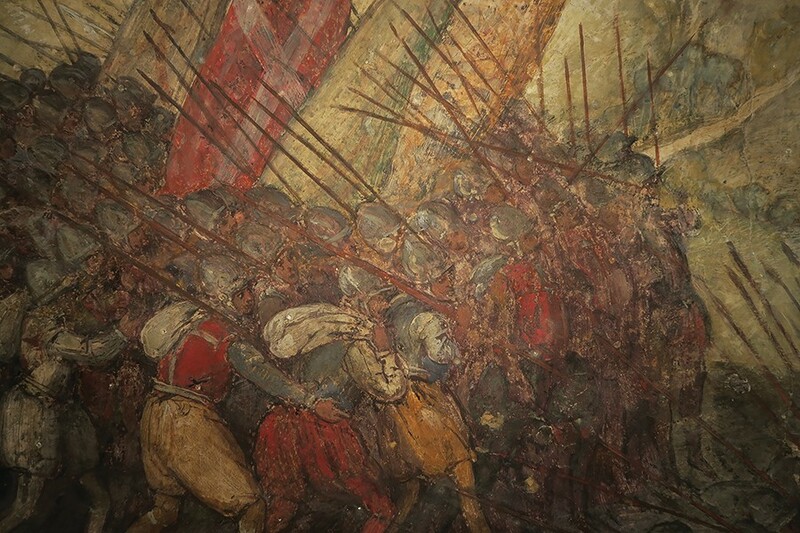 It is often impossible for universities to undertake projects of such a scale due to the need to work at a slower pace than professional teams since we are teaching and training students at the same time.’ Teaching and research institutions like the University of Malta have the resources and time to properly study the paintings and their treatment, and to glean as much from the experience as possible. Small islands, big research Come ‘Here’!